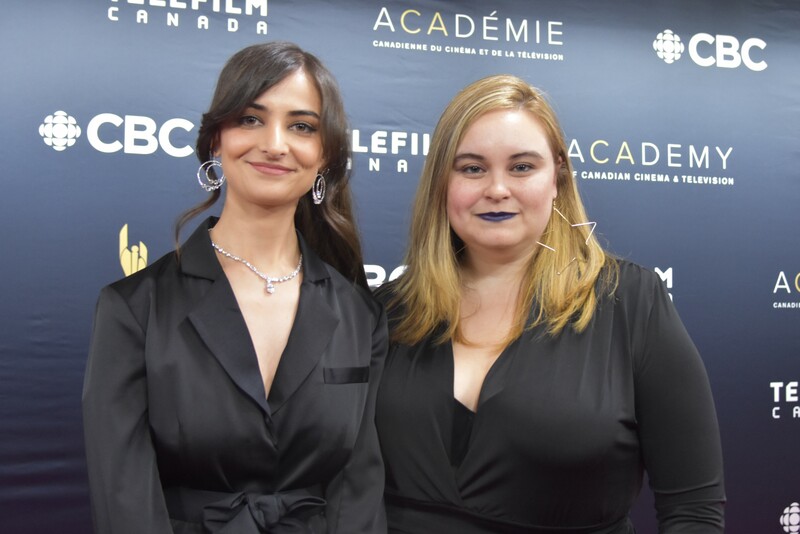 Nominations for the 2019 Canadian Screen Award were announced this morning at The Globe and Mail Centre in Toronto, honouring accomplishments in Canadian Film, Television and Digital Media. Leading this pack once again this year are ANNE WITH AN E and SCHITT’S CREEK with 14 nominations each. Dominating the Film categories are French-language Films Just a Breath Away (Dans la brume) and The Great Darkened Days (La grande noirceur), the latter which partly is English. 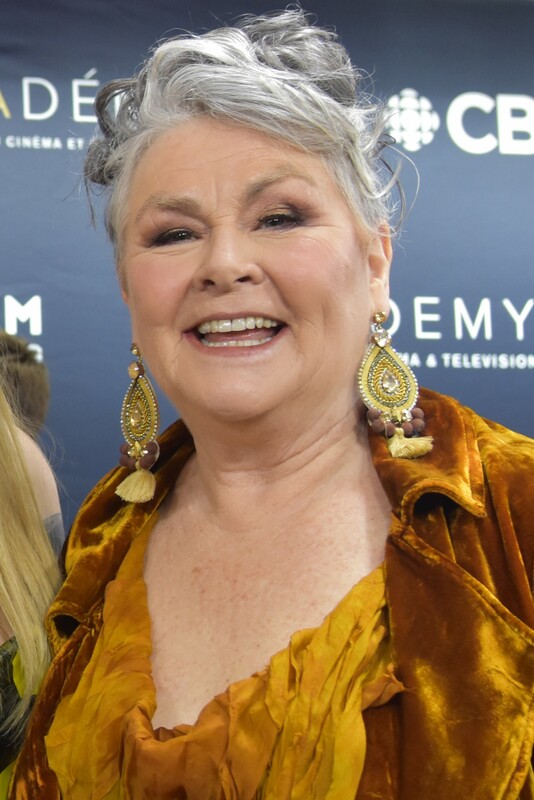 Others to be honoured at the Awards this year include: The Kids in the Hall receiving the Academy Icon Award, Deepa Mehta, receiving the Lifetime Achievement Award, Mary Walsh receiving the Earle Grey Award and Golden Globe nominee Stephan James who will be named the first ever recipient of the Radius Award. Women were front and center this year with receiving 50% of all nominations in Writing, Film Direction, Feature Film and Web Performance categories. 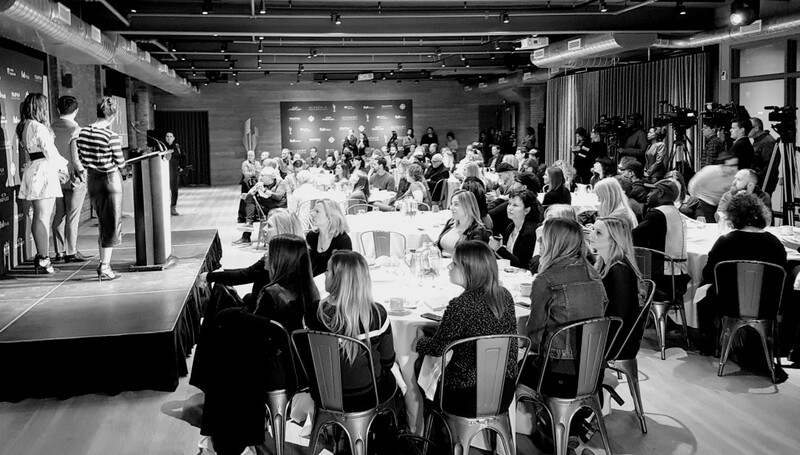 We continue to see a focus on equity and diversity in the Canadian Entertainment landscape with several initiatives like #AfterMeToo and #ShareHerJourney aiming at sharing the female voice and addressing women’s concerns. Canadians can vote for their favourite screen personality to win the Cogeco Fund Audience Choice Award here. 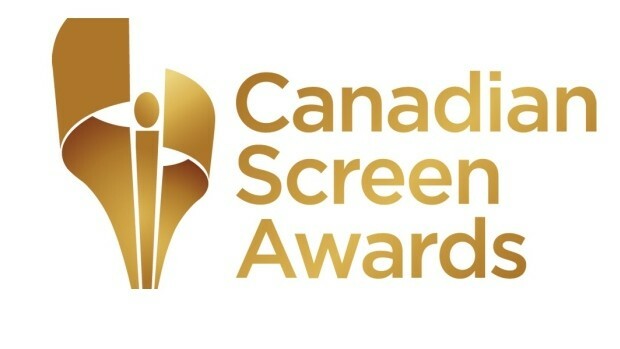 The 2019 Canadian Screen Awards Broadcast Gala airs on CBC Sunday, March 31, 2019 at 8 PM ET. A complete list of this year’s Nominees here. 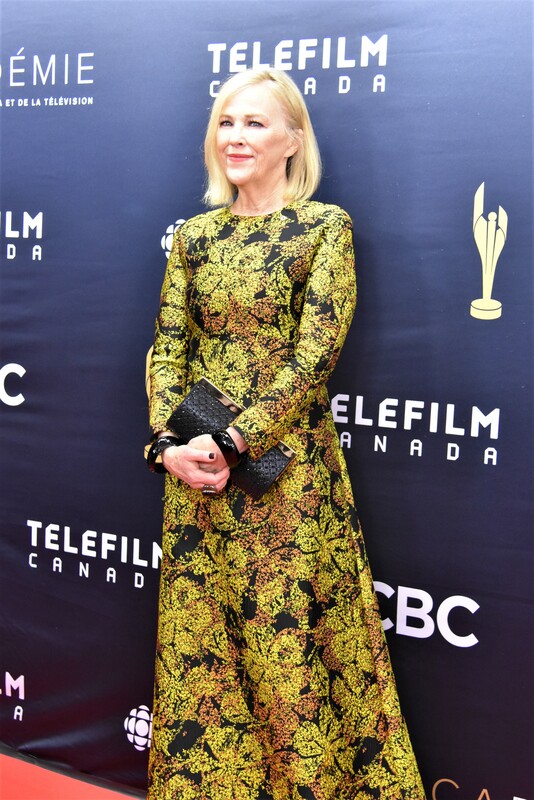 Now in its sixth year, the Canadian Screen Awards Broadcast Gala caps-off a week of celebrations in Toronto honouring the Country’s very best in Film, Television and Digital Media. Held at the Sony Centre for the Performing Arts, the Awards are an answer to Canada’s humility and need for a real star system. The Gala was hosted by Jonny Harris and Emmy Hunter. Winning top honours this year was the Aisling Walsh Film MAUDIE based on the life of Canadian folk artist Maudie Lewis starring Ethan Hawke and Sally Hawkins. The Drama won a total seven Canadian Screen Awards tonight including Best Picture, Best Director, Supporting Actor (Hawke), Best Actress (Hawkins) and more. Walsh in what was a common theme of female empowerment and inclusion in light of the #AfterMeToo movement in Canada, tells the audience, “Every woman in this room who has dreamed of directing, writing or acting in a Film, go ahead and do it!”. 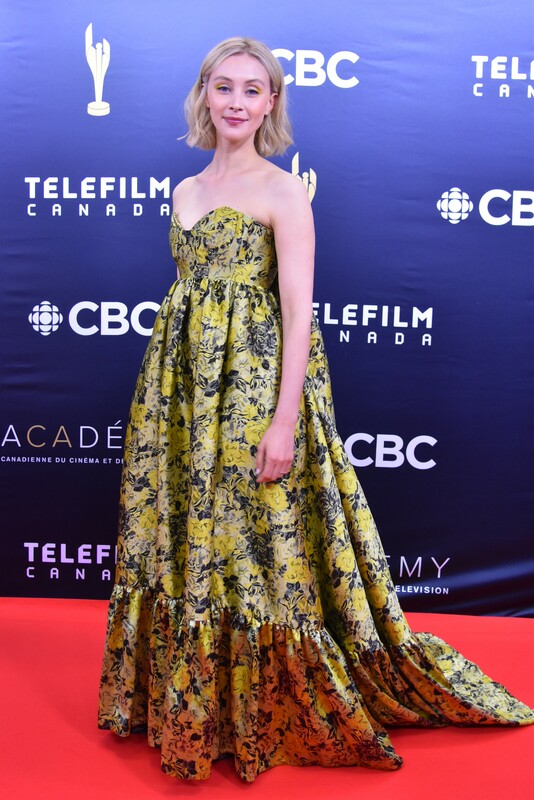 CBC‘s ALIAS GRACE scored two Canadian Screen Awards including Best Limited Series or Program and Best Actress in a Drama or Limited Series (Sarah Gadon). Based on Canadian literary icon Margaret Atwood‘s Book of the same name, tonight we saw the Author herself honoured with the Academy Board of Directors’ Tribute Award. 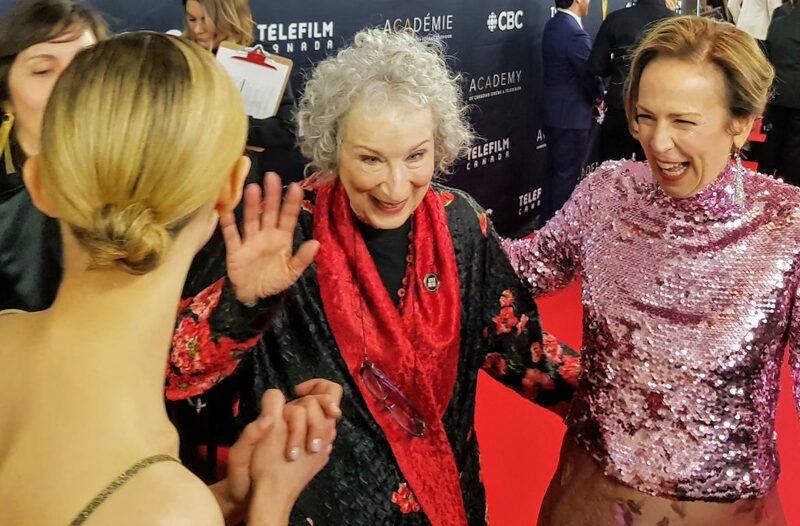 Atwood says “I am very lucky to work with the brightest talent including Sarah Polley. I am supporting #AfterMeToo (and what their actual mission is) and the Canadian Women’s Foundation.”. Tying in the Television categories tonight were fellow CBC Series KIM’S CONVENIENCE and ANNE with two wins each. 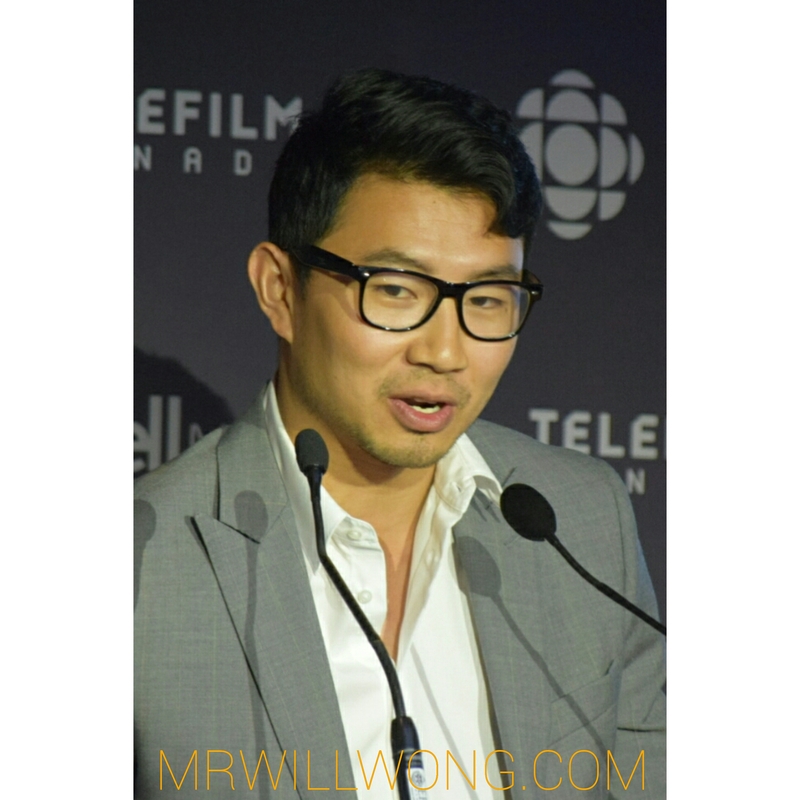 The former is a Sitcom centering on a Korean-Canadian family in Toronto and their convenience shop and it won Best Comedy Series and repeated for Best Actor in a Comedy Series (Paul Sun-Hyung Lee). 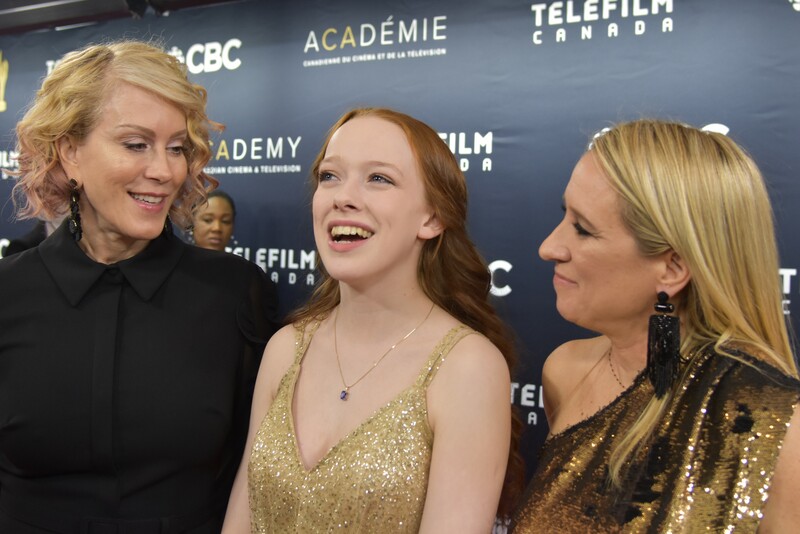 The latter is based on the internationally-adored Children’s Book Series Anne of Green Gables by Lucy Maud Montgomery and it scored for Best Drama Series and Best Supporting Actor in a Drama Program or Series (R.H. Thompson). Hochelaga, Land of Souls would take home four Canadian Screen Awards for Visual Effects, Art Direction, Cinematography and Overall Sound. Angelina Jolie-produced Animated Feature The Breadwinner nabbed Adapted Screenplay, Music, Original Score, Sound Editing and Original Song. Rumble: The Indians Who Rocked the World would win for Feature Length Documentary and Editing in Feature Length Documentary. 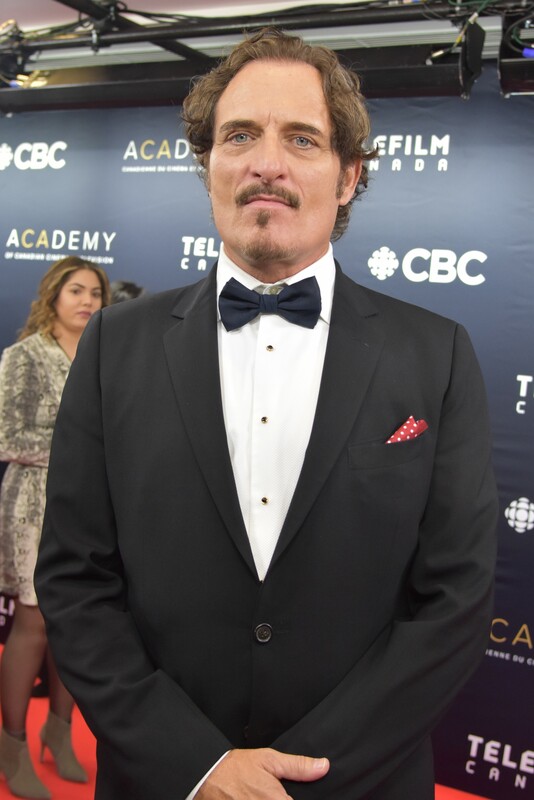 The Gala was a star-studded affair graced by the likes of Presenters: Kawa Ada, Shamier Anderson, Jann Arden, Adrienne Arsenault, Andrea Bang, Amanda Brugel, Billy Campbell, Nicholas Campbell, Saara Chaudry, Kim Coates, Wendy Crewson, Gerry Dee, Caroline Dhavernas, Sadaf Foroughi, Sarain Fox, Sarah Gadon, Marc-André Grondin, Allan Hawco, Paul Sun-Hyung Lee, Daniel Levy, Eugene Levy, Tatiana Maslany, Lisa Meeches, Amybeth McNulty, Natasha Negovanlis, Catherine O’Hara, Charles Officer, Amanda Parris, Jasmeet “JusReign” Raina, Catherine Reitman, Maxim Roy and Aurora Browne, Meredith MacNeill, Carolyn Taylor and Jennifer Whalen. In addition to honouring the most notable Canadian productions of the past year, the Gala paid tribute to longstanding excellence. Media personality Peter Mansbridge, known as the face of CBC‘s The National, received a Lifetime Achievement Award from Adrienne Arsenault. Rick Mercer received an Icon Award from adored Singer/Songwriter Jann Arden for his work on now-concluded The Mercer Report. 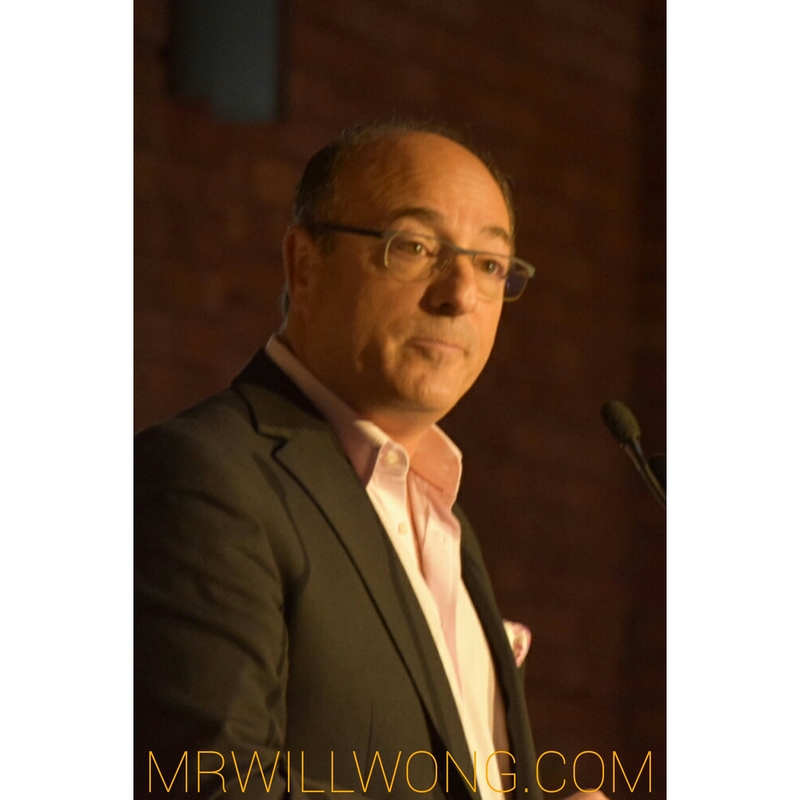 Actor/Director Clark Johnson was awarded the Earle Grey Award, presented by his sisters Molly and Taborah. In addition to critical merit, popularity too was awarded at the Broadcast Gala. 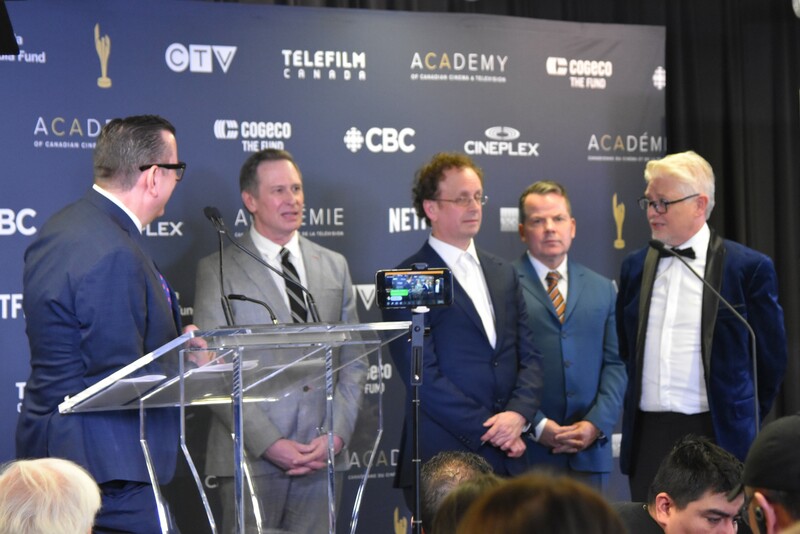 The Golden Screen Award for TV Drama went to CBC‘s Murdoch Mysteries, while the Golden Screen Award for TV Reality Show was handed to CTV‘s The Amazing Race Canada. The Cineplex Golden Screen Award for Feature Film was given to De père en flic 2. 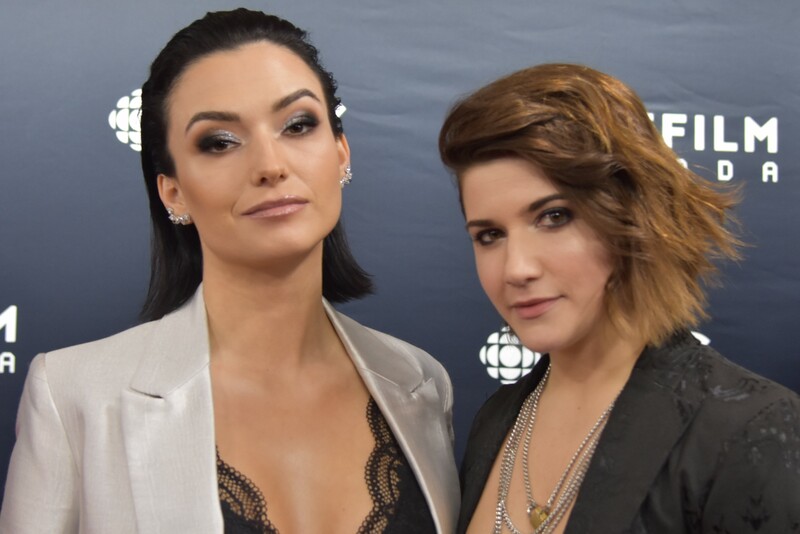 The Cogeco Fund Audience Choice Award, decided upon by fans online went to star of Webseries Carmilla, Elise Bauman, whom last year saw her Co-Star Natasha Negovanlis win the same award. Earlier in the week, awards were handed for Excellence in Non-Fiction Storytelling, Excellence in Creative Fiction Storytelling and Excellence in Digital and Storytelling. Also, fans got to meet up-close some of their favourite stars of the Canadian productions at Family Fan Day, including the likes of Jerry O’Connell, Allan Hawco, Amybeth McNulty, Daniel Maslany, Elise Bauman, Natasha Negovanlis, Viviane Hicks, the Cast of Kim’s Convenience and many more. See more Photos of the night. Hover cursor left and right to navigate slideshows. 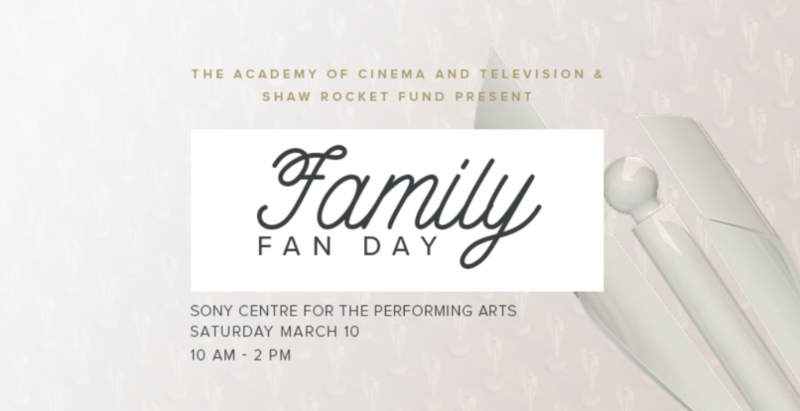 In celebration of Canadian Screen Week, FAMILY FUN DAY returns once again at Sony Centre for the Performing Arts on Saturday, March 10, 2018! Of course, it’s free for all! Carlos Bustamante from YTV hosts. The fun takes place 10 AM TO 2 PM. It’s that time of the year again and you can bet we’re super-pumped for CANADIAN SCREEN WEEK! As in previous years, FAMILY FAN DAY will give us a chance to connect with some of our favourite Canadian stars of the screen! Taking place Saturday, March 11, 2017 at Sony Centre for the Performing Arts, the event runs from 10 AM to 2 PM and guess what? It’s free! Exciting activations and contests are being planned and did you know that the first 100 in line will get a free swag bag? There will be doughnuts from JELLY MODERN, a MAC booth giving you inspiration for your spring 2017 look, exciting animals from HANDS ON EXOTICS and also a coding workshop by LADIES LEARNING CODE. YTV‘s Carlos Bustamante will fill hosting duties. 1. Be calm, stars are more like us than we are led to believe. 2. Ask nicely. If you are a real fan, let them know how they have touched your life. 3. Give them space and let them initiate it if they want to get closer to you. 4. Make sure there’s no glaring light behind you in the photo. This is v. unflattering and will almost always ruin your photo. If there is light, make sure it is shining on your faces. 5. Nobody likes a double-chin, so tilt that camera/cell phone up just a bit and tilt that chin down. 6. Look into the lens of the camera, not the screen on your cell phone and smile! Keep your eyes open! 7. Take an extra snap quickly just in case the first didn’t turn out – it’s always good to have a back-up. Enjoy and g’luck! We’ll be seeing you around Canadian Screen Week! More on Family Fan Day here. Nominations were announced earlier today at Oliver & Bonacini‘s Aperture Room for the 2017 Canadian Screen Awards, now in their fifth year. 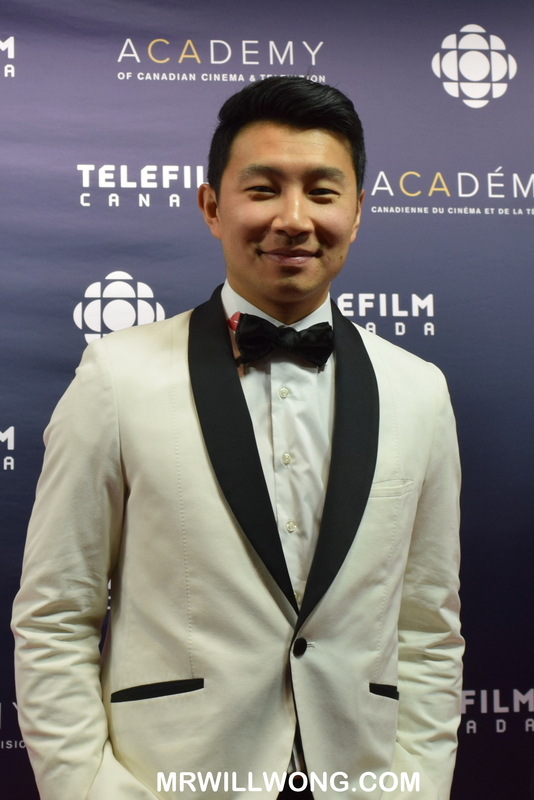 Announcing nominees were a trio of Canadian talent including actors Maxim Roy (Shadowhunters), Simu Liu (Kim’s Convenience) and Amanda Brugel (The Handmaid’s Tale). With 134 categories, divided by Digital Media, Television and Film, the Awards brought out some familiar and new names. 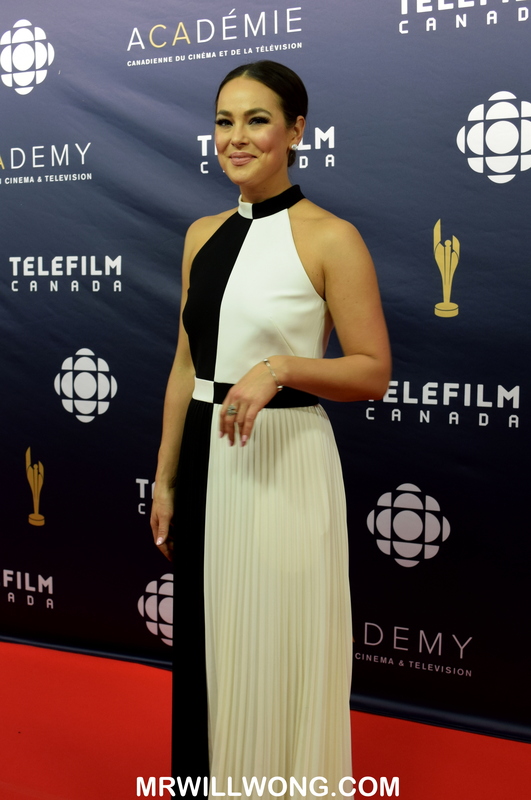 Leading the Television nominees once again is ORPHAN BLACK with a stellar 14 nominations (and wins in the past three consecutive years) including Best Dramatic Series and Actress (Tatiana Maslany). SCHITT’S CREEK, also a multi-CSA winner which just premiered in its third season, follows closely in second with 13 nominations, while KIM’S CONVENIENCE gets 11 nominations in its debut. The latter two, both from CBC, compete for Best Comedy Series. Leading the Film nominations with nine nods is Xavier Dolan‘s IT’S ONLY THE END OF THE WORLD including Best Motion Picture and Direction, Canada’s Best Foreign Picture entry at the upcoming Academy Awards. RACE, also filmed in Montreal like WORLD, gets eight nominations, while BEFORE THE STREETS, OPERATION AVALANCHE and WEIRDOS each get six nods apiece. 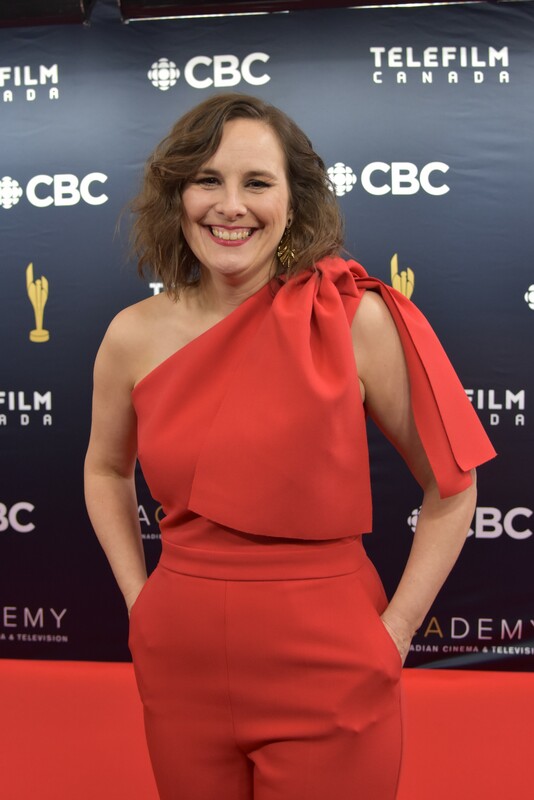 Newly-appointed Academy CEO Beth Janson who returned to Canada recently after a stint in the U.S., comments on the lack of a star system in Canada and hence the necessity of recognizing our own Canadian talent which she is certain has no shortage of. “The stories we tell are increasingly reflective of our diverse experiences as Canadians, and that is a trend to cherish”, she tells a room of industry, media and nominees. Team Schitt’s Creek congratulate Catherine O’Hara on her nod! The 2017 Canadian Screen Awards air live on CBC Sunday, March 12, 2017 at the Sony Centre for the Performing Arts, hosted by Howie Mandel. Academy Award winner Christopher Plummer that night is slated to be honoured with a Lifetime Achievement Award. The Awards cap-off Canadian Screen Week, which takes place between Monday, March 6 – Sunday, March 12, 2017. 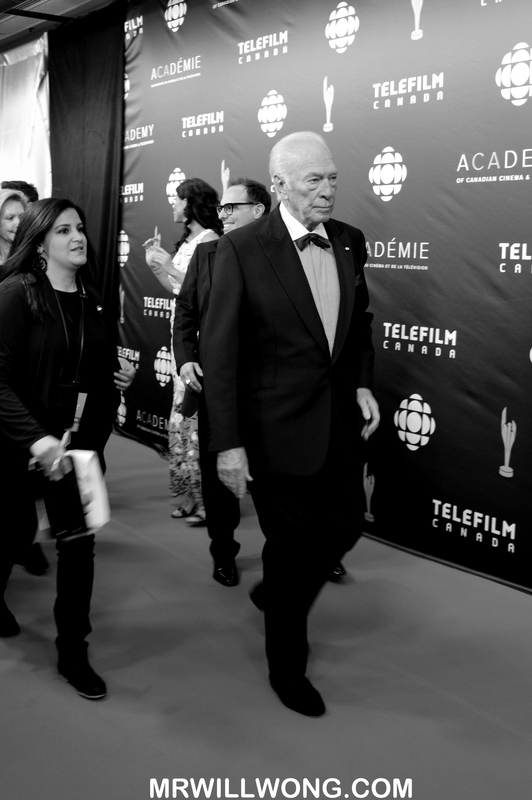 Academy Award winner Christopher Plummer that night is slated to be honoured with a Lifetime Achievement Award. Like previous years, Fans will have a chance to engage with various events set to take place leading up to the Awards. Visit ACADEMY.CA for updates. 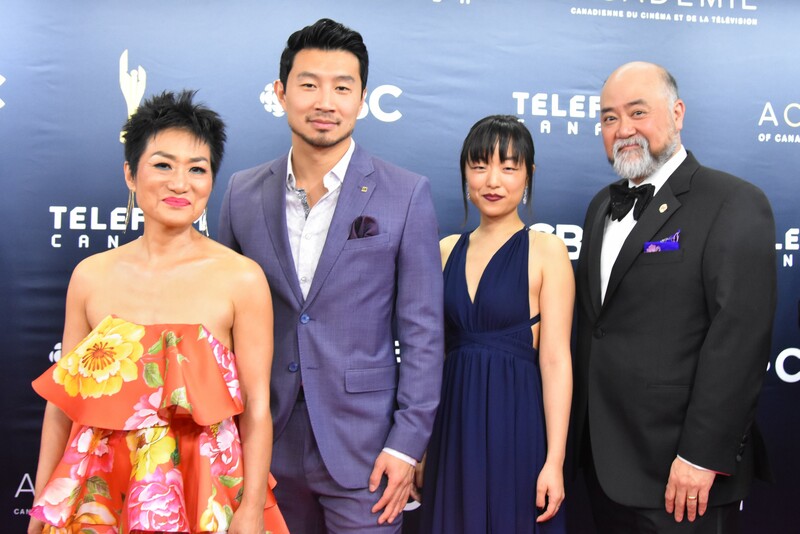 Taking place tonight at the Sony Centre for the Performing Arts, the fourth annual Canadian Screen Awards fêted the very best in both Television and Cinema this past year. 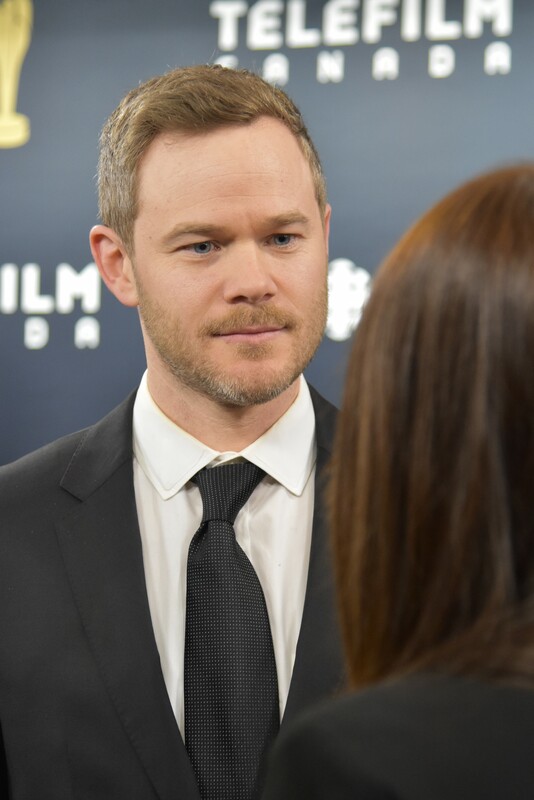 Sweeping in the Film categories including Best Film, was Academy Award Nominee for Best Picture, ROOM, shot here in Toronto last winter and subsequently winning the Cadillac People’s Choice Award at TIFF 2015. In addition to garnering Brie Larson her first Oscar victory last month, the American Actress won Best Film Actress tonight for her work in the Film Adaptation of Emma Donoghue’s best-selling novel, its screenplay also penned by the latter. Director Lenny Abrahamson and Donoghue herself also won in their respective categories. Child Actor Jacob Tremblay stole the show, garnering a well-deserved victory for Best Film Actor for his portrayal of a child named Jack whom after living all his life isolated from the world with his Ma (Larson), is faced with the challenge of adapting to the real world after he manages to flee from his and his mother’s captor. He tells the Press Room with great pride that he will be displaying his award on his shelf alongside his Millennium Falcon. As we all know by now, he loves Star Wars. I ask Tremblay what he has to say to Brie Larson whom he has navigated so successfully through Awards Season these past few months. He tells me, “I hope we can work together again”. 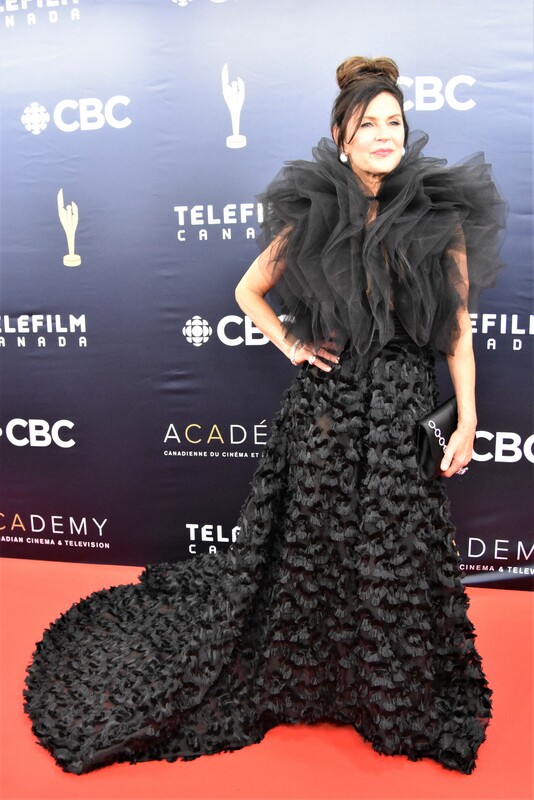 CBC Comedy Schitt’s Creek also dominated the Television categories with three wins tonight including Best TV Comedy Series, Best Actor (Eugene Levy) and Actress (Catherine O’Hara) in a TV Comedy. 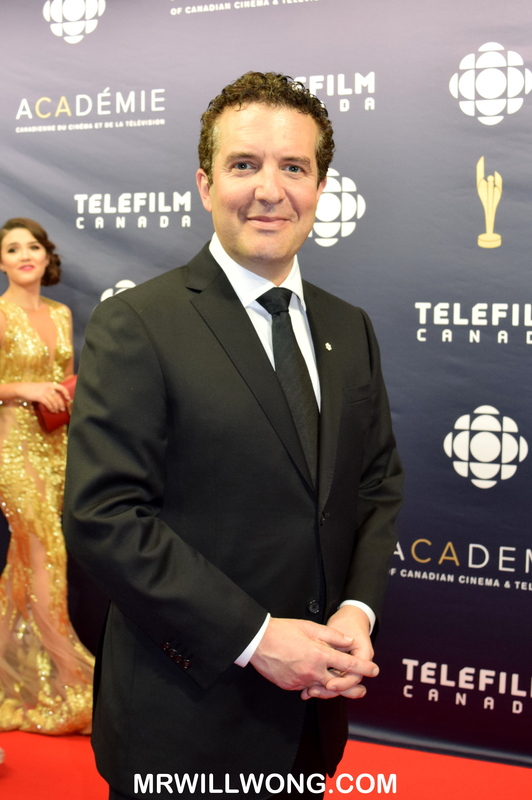 O’Hara and Levy both agree that the Canadian Screen Awards should be given an official nickname of the “Candies” for phonetic and sentimental reasons. The name pays tribute to their SCTV Co-Star John Candy, a Canadian icon who left us far too soon. 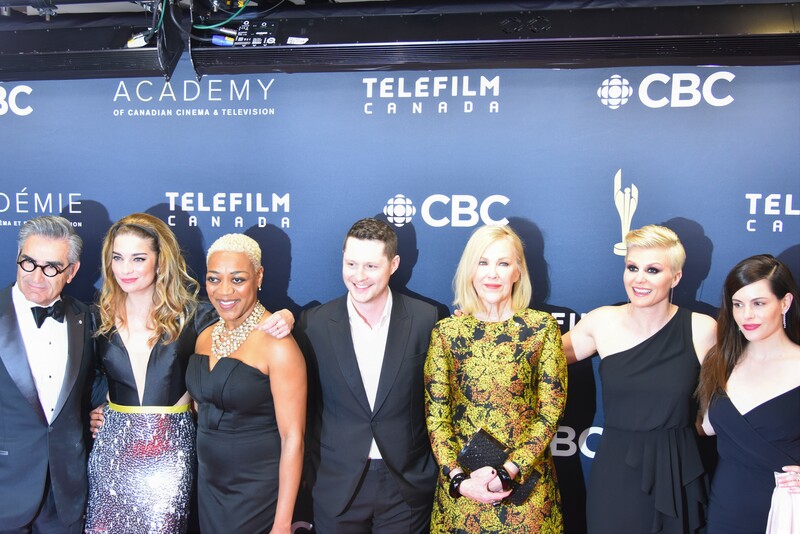 Orphan Black also once again was recognized tonight, its upcoming season having wrapped in Toronto just recently. Its star Tatiana Maslany won Best Actress in a TV Drama Series, but unfortunately was busy at the SXSW Festival promoting her new Film with partner Tom Cullen this weekend. 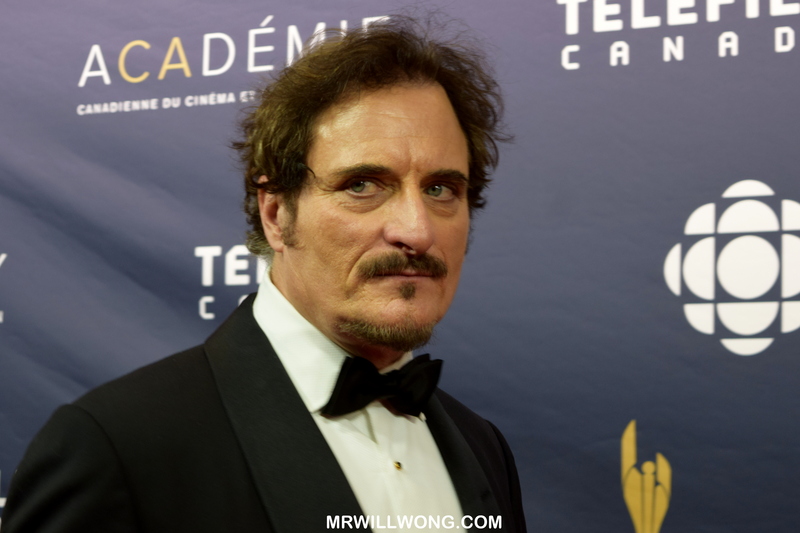 Her Co-Star Ari Millen was honoured with Best Actor in a TV Drama Series. 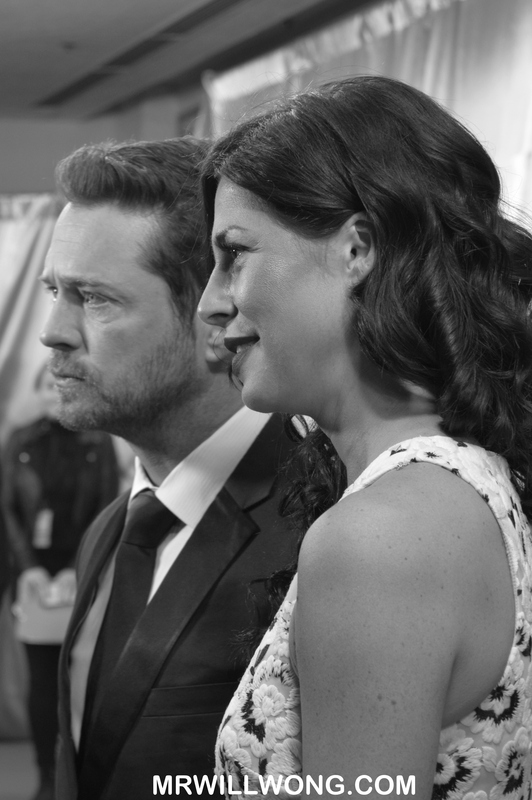 #WendyCrewson + #MissyPeregrym at #CDNscreen16. #CatherineOHara + #EugeneLevy of #SchittsCreek agree the #CDNSCREEN16 Awards should be named “Candies”. Also in memory of our John Candy. #KardinalOffishall + #VinayVirmani at #CDNscreen16. 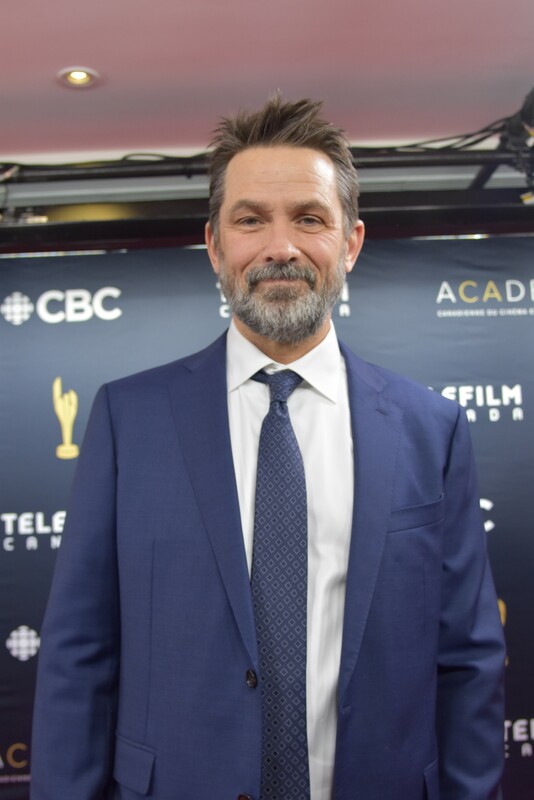 #CDNSCREEN16 winner for Best Supporting Actor in a Film (#SleepingGiant), #NickSerino. #CTVTheSocial’s #LaineyGossip + #CynthiaLoyst at #CDNscreen16. #MichelleNolden + #JuliaTaylorRoss of #SavingHope at #CDNscreen16. 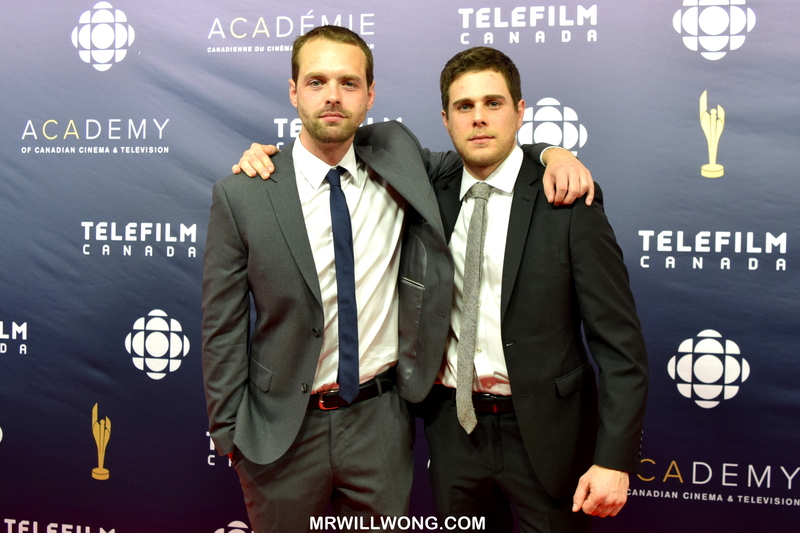 #JamieDagg + #RossifSutherland of #RiverMovie at #CDNscreen16. #EmilyVanCamp, star of #Revenge + #CaptainAmerica, at #CDNscreen16. #EmilyHampshire + #AnnieMurphy of #SchittsCreek at #CDNscreen16. #GerryD + Family at #CDNscreen16. #JayBaruchel of #ManSeekingWoman at #CDNscreen16. 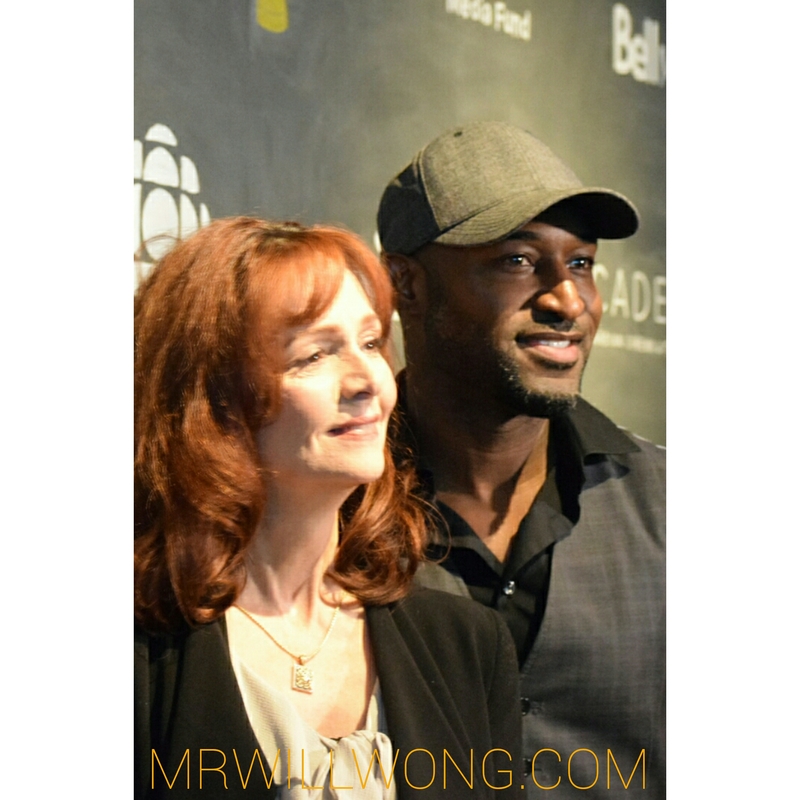 #MartinKatz + #HelgaStephenson, the masterminds behind #CDNscreen16! #GiacomoGianniotti of #Reign, #RACEMovie + #GreysAnatomy at #CDNscreen16. 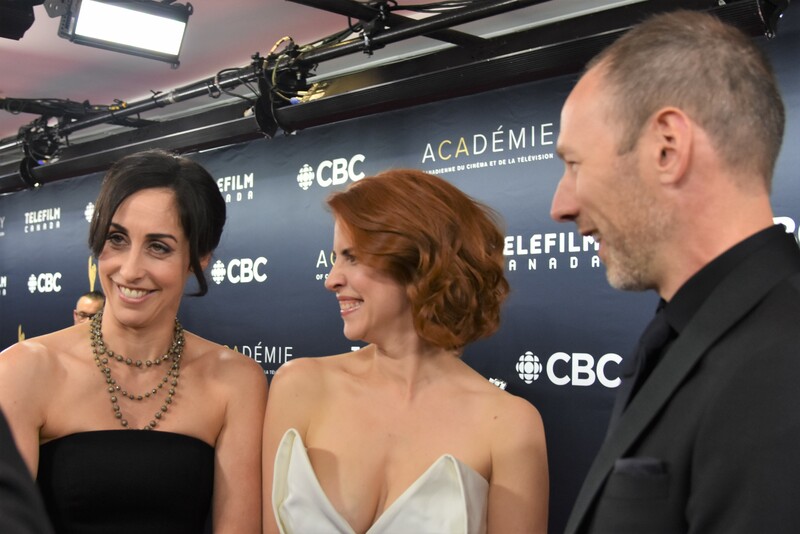 #JessiCruickshank + #EvanGatica at #CDNscreen16. 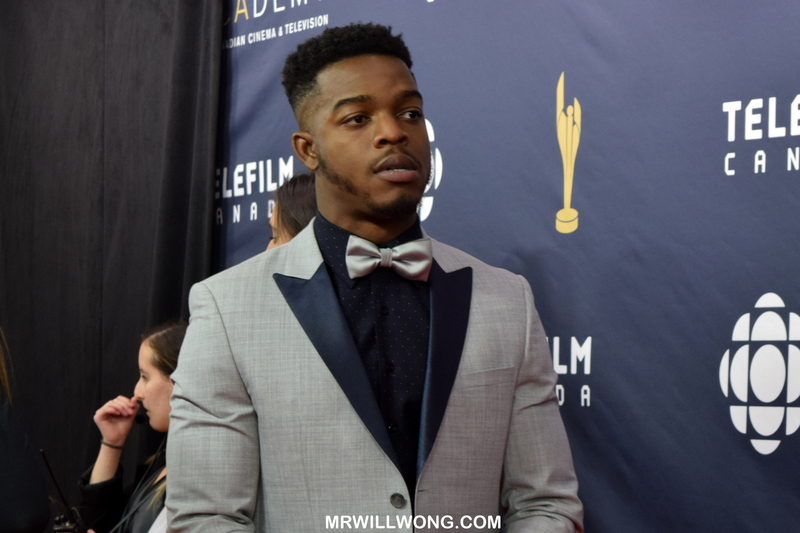 #StephanJames of #RACEMovie at #CDNscreen16. #BrentButt + #EricPeterson of #CornerGas at #CDNscreen16. The Tremblay family after #RoomtheMovie @jacobtremblay’s #CDNSCREEN16 sweep. 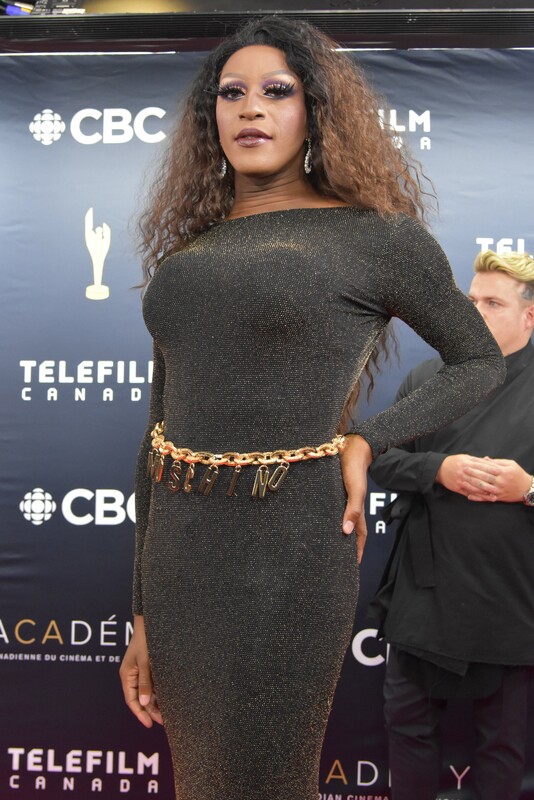 More on the CANADIAN SCREEN AWARDS here. 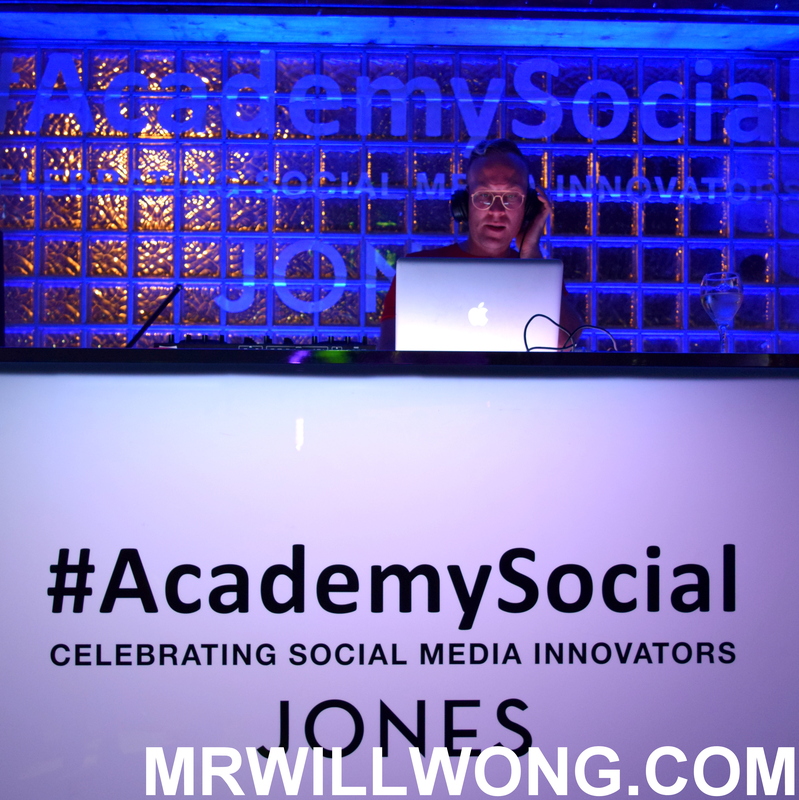 With Canadian Screen Week well under way, the party was lit at 99 Sudbury tonight as the Academy Social took place, in celebration of excellence in Social Media. 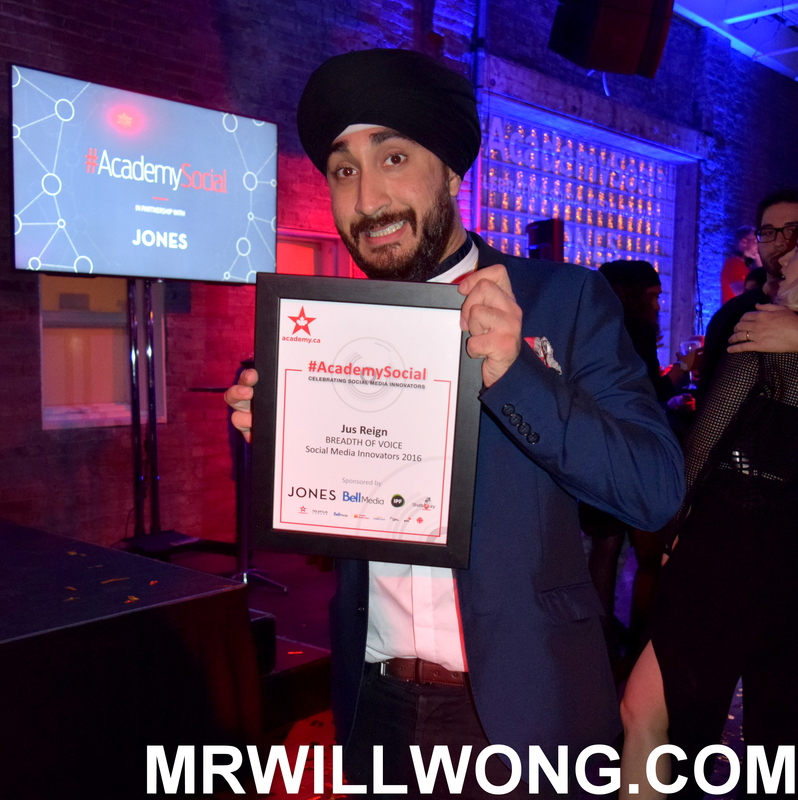 Hosted by eTalk’s Liz Trinnear and Much‘s Jus Reign, awards were handed out across multiple categories for social media innovation. 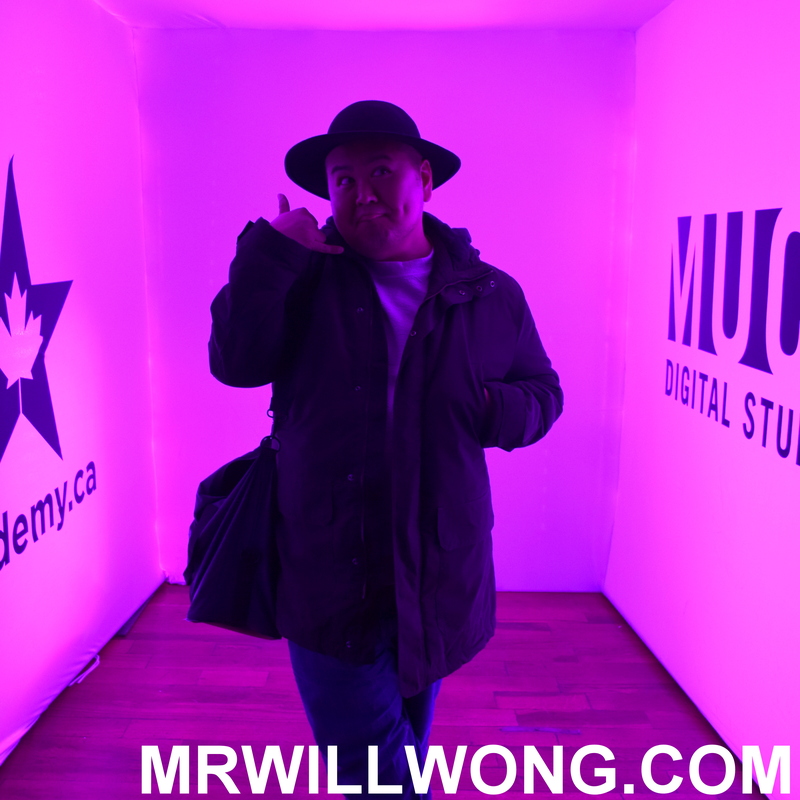 The Event is brought to us by Bell Media, Jones Media, The Independent Production Fund, Much, PricewaterhouseCoopers, CBC, Ontario Media and Development Corporation, Telefilm Canada, Canada Media Fund, Cineplex, Smokebomb Entertainment and The Academy of Canadian Cinema and Television. 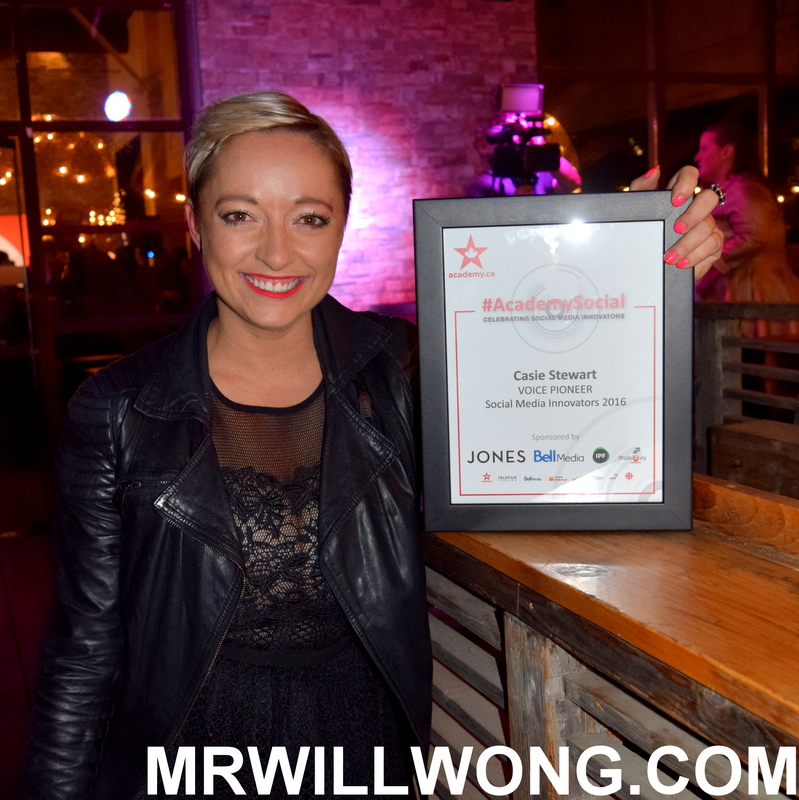 Among those honoured were our friend Casie Stewart for Voice Pioneer and Jus Reign for Breadth of Voice. 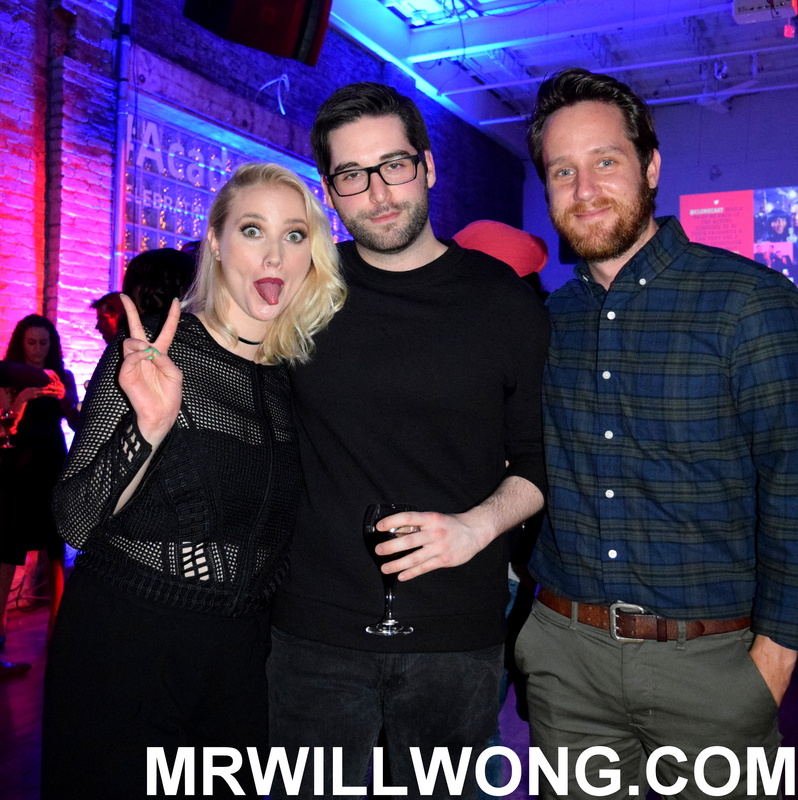 Canadian talents like Naomi Snieckus, Kristian Bruun and the cast of series, Carmilla were in attendance. See some Snaps from tonight! The 4th annual Canadian Screen Awards take place this Sunday, March 13, 2016 and air 8 PM in each respective time zone on CBC. We’ll be there! Also, don’t forget about Saturday’s FANZONE Event at Toronto’s Eaton Centre. Meet some of your favourite Canadian personalities! Details here. It’s that time of the year again! 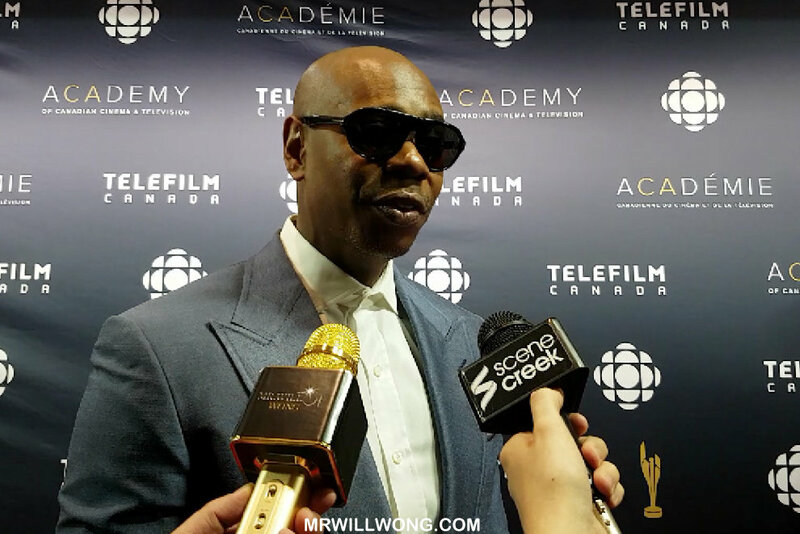 Awards Season wouldn’t be complete without the Canadian Screen Awards, set to take place Sunday, March 13, 2016 at Sony Centre for the Performing Arts for a fourth year. 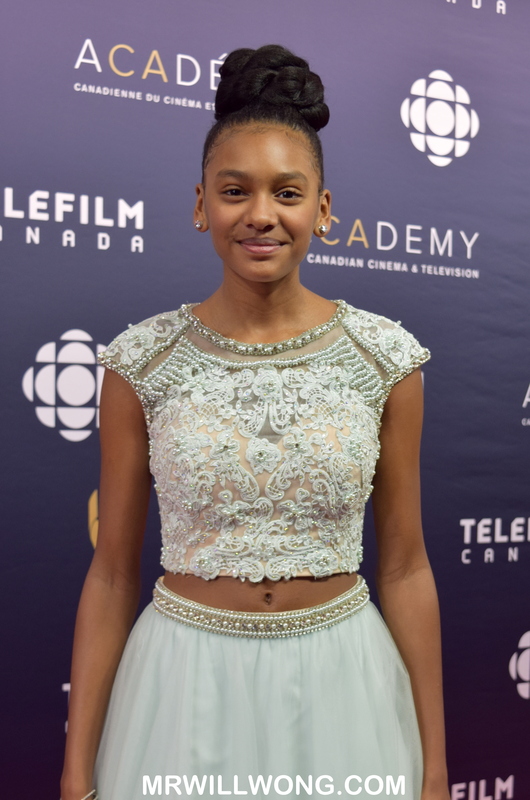 The Gala to be hosted by comedian Norm MacDonald, recognizes the finest accomplishments in Canadian Film, Digital Media and Television, revealing its nominees this morning at TIFF Bell Lightbox with the help of Actors Aislinn Paul (Degrassi, Heroes Reborn) and Lyriq Bent (The Book of Negroes). The Duo were revealed as nominees too. Leading the Film nominees this year is Academy Award Best Picture-nominated ROOM with eleven nods including Best Motion Picture, Achievement in Art Direction, Cinematography, Direction, Editing, Makeup, Music, Original Score, Adapted Screenplay, Actor in a Leading Role (Jacob Tremblay), Actress in a Leading Role (Brie Larson) and Actress in a Supporting Role (Joan Allen). 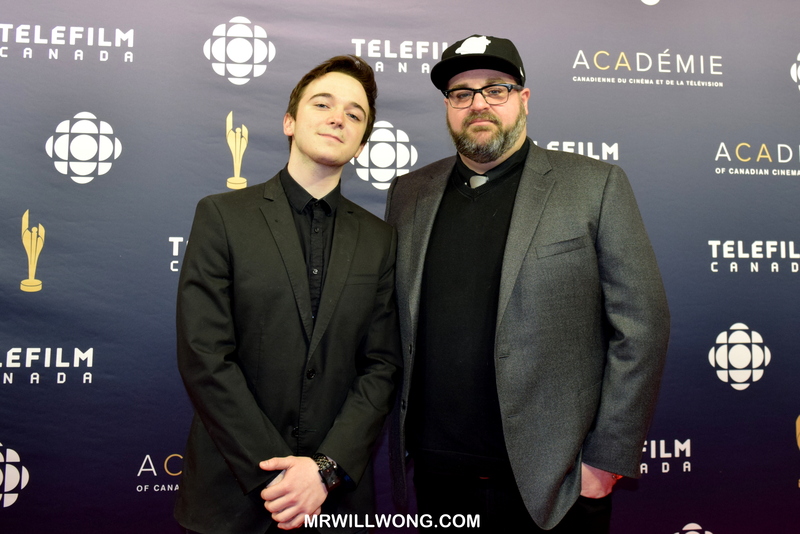 Both Larson and nine-year-old Tremblay are fresh off Critics’ Choice Awards this past weekend for their work in the Toronto-made Film. 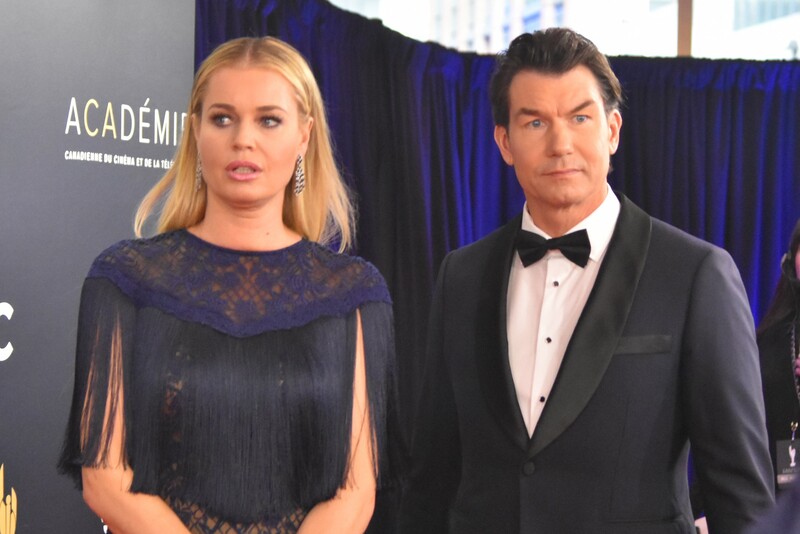 Following closely behind were HYENA ROAD, which despite a whopping eight nominations didn’t receive a Best Motion Picture nomination, and French-language Film OUR LOVED ONES with seven nominations. SCHITT’S CREEK leads Television category nominees with 14 nominations, plus one in the Digital Media division, including Best Comedy Series, Best Direction in a Comedy Series (twice), Best Photography in a Comedy Series, Best Editing in a Comedy Series, Best Writing in a Comedy Series (twice), Best Performance by an Actor in a Leading Role (Eugene Levy, Daniel Levy), Best Performance by an Actor in a Supporting Role (Chris Elliott) and Best Performance by an Actress in a Supporting Role (Annie Murphy, Catherine O’Hara). Interestingly, father-son duo Eugene and Daniel Levy are going head-to-head in this category. 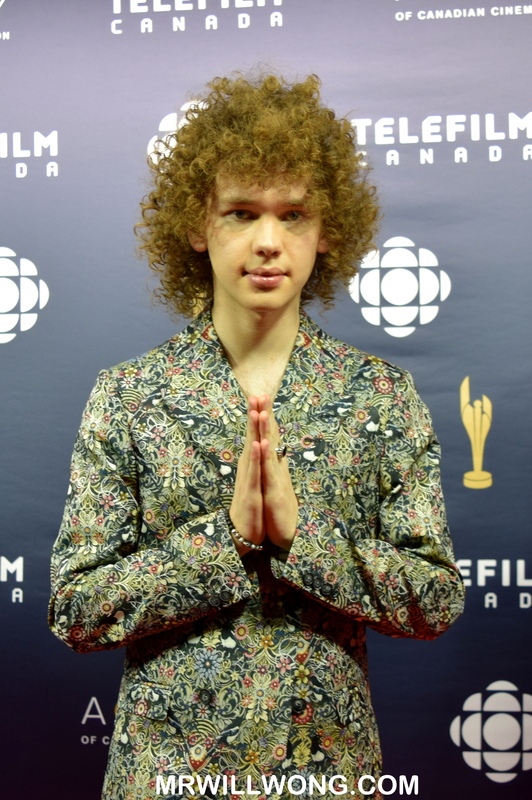 CSAs favourite Orphan Black follows closely behind in second with 13 nominations. Tied with 12 nominations apiece were Mr. D and 19-2. 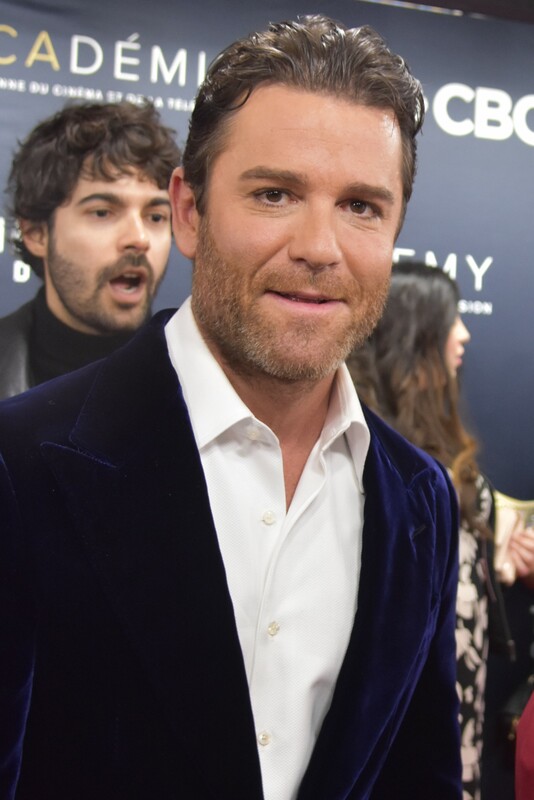 A star-studded list of nominees were announced with the likes of Rossif Sutherland, Christopher Plummer, Jared Keeso, Tatiana Maslany, Missy Peregrym, Megan Follows and several more. We wait to see the list of talent to grace the Red Carpet in March! Earlier at the Press Conference, the new Discovery Award was presented to Director Yosef Baraki and Producers Andrew Korogyi and Asef Baraki for their Afghanistan-filmed Feature, MINA WALKING. The Award is for emerging Filmmakers working with a budget of under $250k. 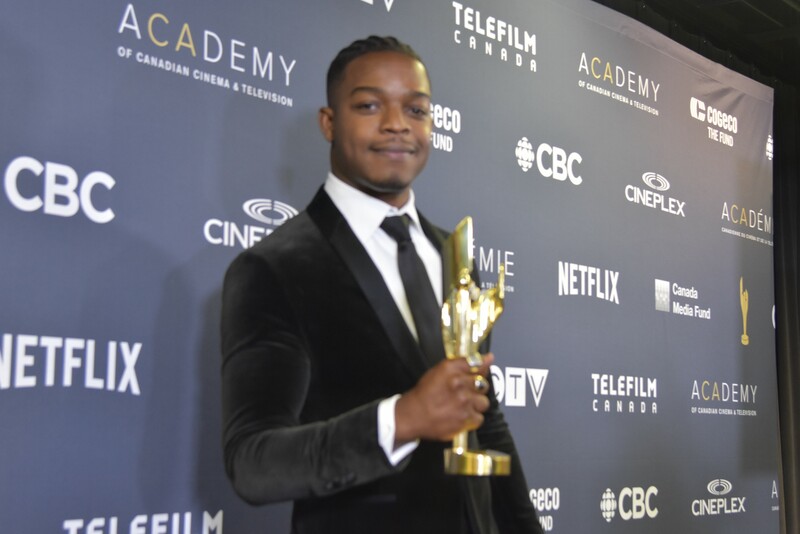 Once again this year, Fans will get a chance to connect with their favourite Canadian stars Saturday, March 12, 2016 at Eaton Centre in the Canadian Screen Awards Fanzone. 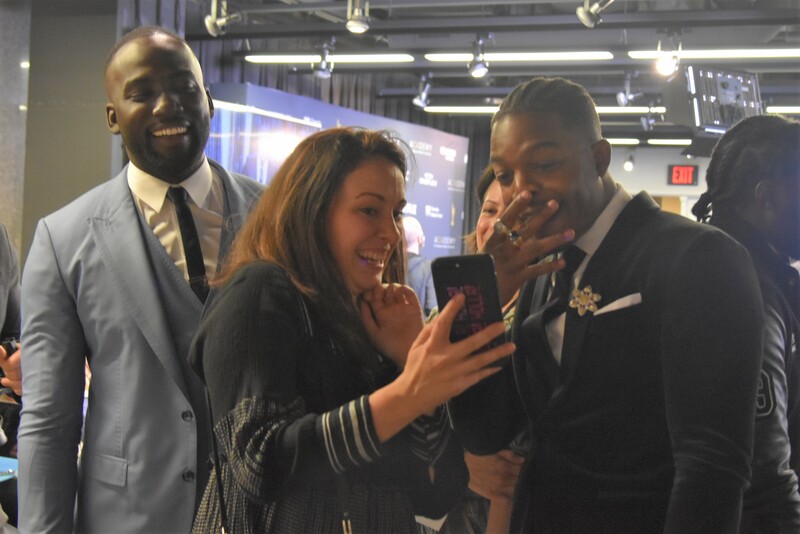 Fans also will be given a chance to win a spot in the Red Carpet section at the Sony Centre on the day of the Awards and even have a chance to vote for their favourite Canadian star in the Fan’s Choice Award voting. Details can be found here. 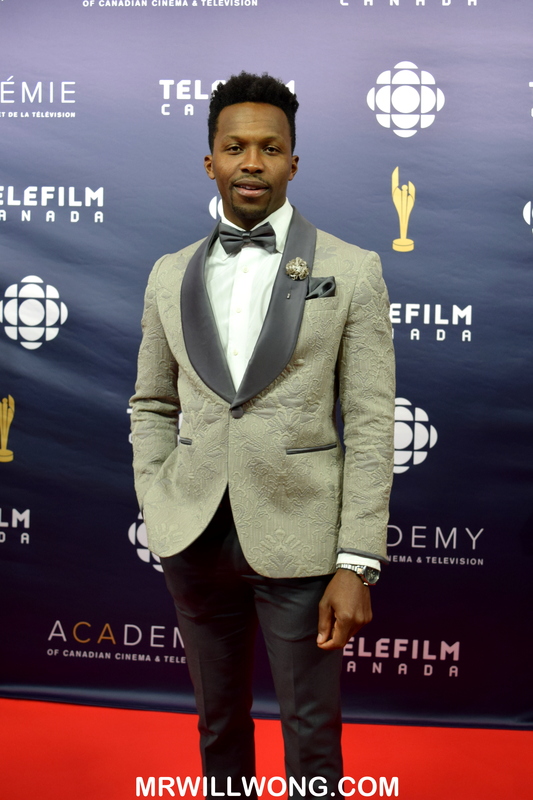 The 2016 Canadian Screen Awards air 8 PM on CBC Sunday, March 13, 2016. See the full list of Nominees here.